Pilkington. Argenville, vol. III. Biog. Universelle in Bertholet. Moren. Dict. Ili>t. “Hist. Crit. de Nic. 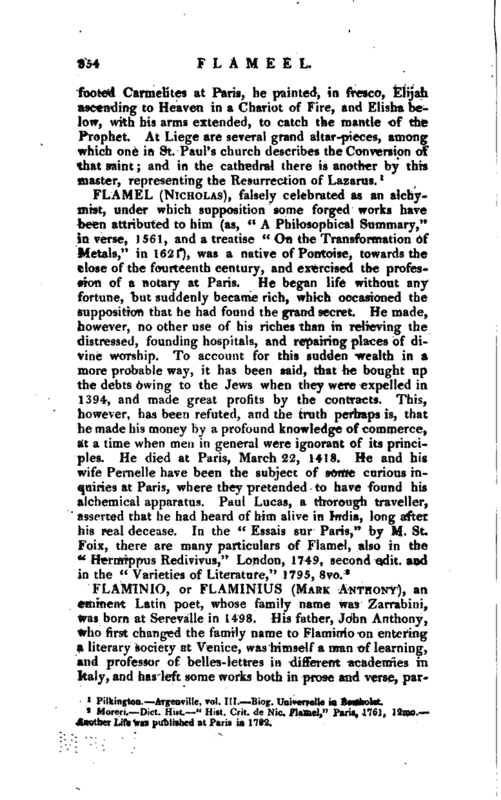 Flamel,” Paris, 1761, 21mo. Another Life was published at Paris in 1782.